The Autodromo Nazionale di Monza opened its doors back in 1922. At that time, nobody could forecast that the world’s third purpose-built race track after those of Brooklands and Indianapolis would once become one of the main spiritual homes of motorsport. F1technical.net’s Balazs Szabo dared to have a look around to discover the Mecca of the Italian GP history. 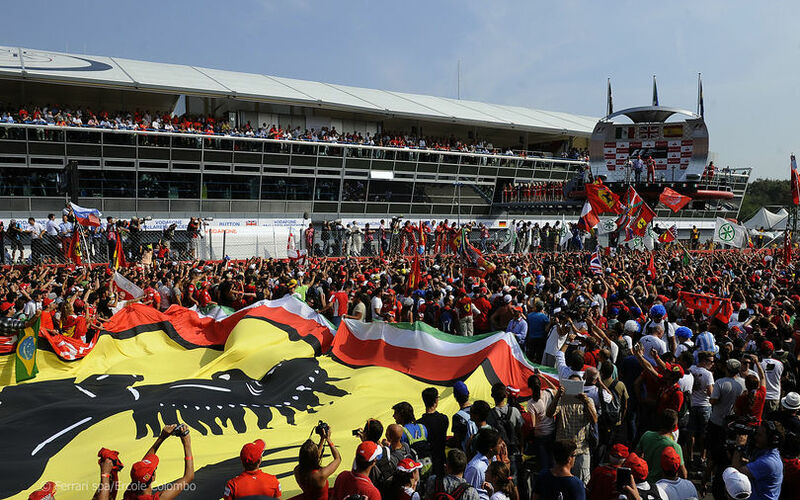 The Italian GP established itself as one of the main pillars of F1 by being one of the longest running events on the calendar. The event was the last race of the inaugural season of the sport and it has been held every year since then. From the current calendar, only the British, the Belgian, the Monaco and the Italian GP were part of the calendar of the 1950 campaign and the Italian Grand Prix is the only one next to the British GP which has featured the calendar in every year. The history of racing on Italian soil started before F1 was called into being: the former oval layout and then the very unique high-speed nature of the current circuit and the beautiful scenery of the Royal Villa located in a woodland setting all played part in the Italian GP’s merciless conquest in the world of motorsport. 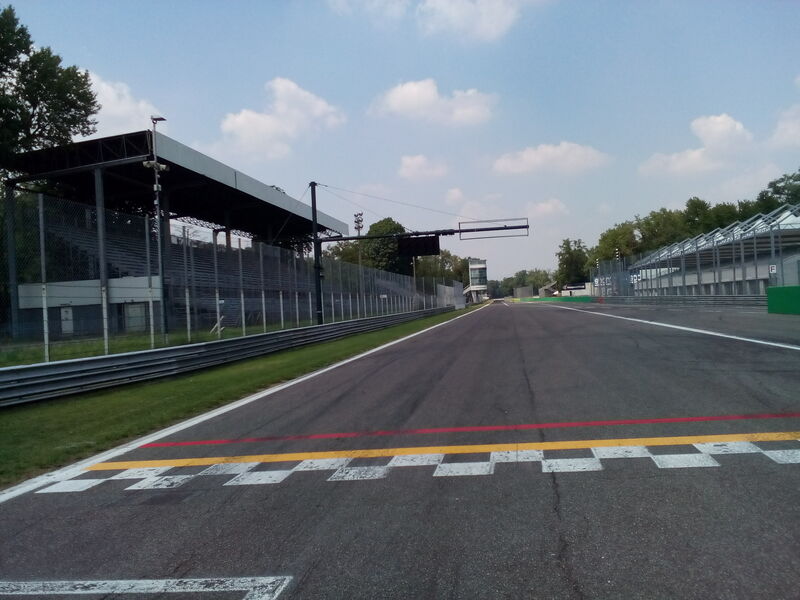 The track is located just in the skirts of the beautiful town of Monza. This town which is the third-largest city of Lombardy with its population of 120000 habitants is best known for its Grand Prix racing circuit. The track is some 15 kilometres north of Milan. Visitors can reach the beautiful town of Monza by car or by public transport. By train, it only takes eleven minutes from the central railway station. The race track of Monza became a spiritual home and a pilgrimage destination for true racing fans. It offers an incredible service throughout the whole year enabling fans to discover the most secret corners of the complex. The track is located just outside Monza. Visitors can approach the track by bus which departs from the railway station. However, it is highly recommended to take that route on foot. The city centre with its predominantly Romanesque-Gothic style offers a long list of sights to explore. It takes around 90 minutes to walk at a peaceful pace from the railway station to the entrance of the historical circuit. 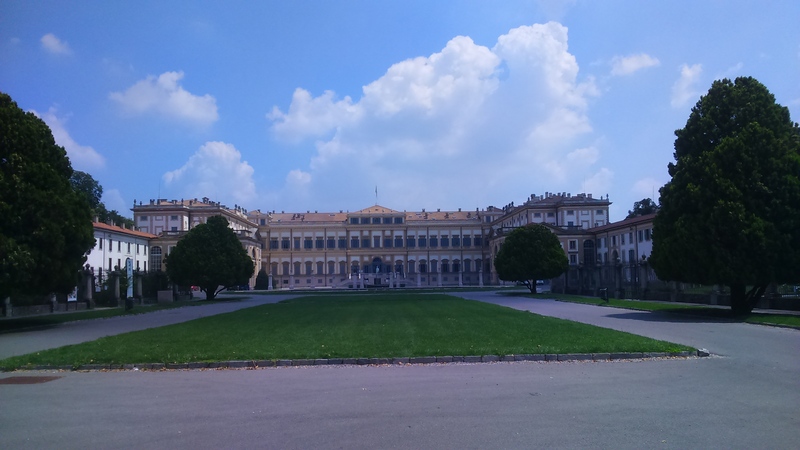 The Duomo, the Aregario palace, Cappella Espiatoria, the Church of Santa Maria, the Villa Reale Palace, the shopping streets and the long, straight way surrounded by a wide variety of trees and plants are worth the effort. After being enticed by the mesmerizing city centre, a walk awaits you on a seemingly never-ending road confined by wonderful buildings and enormous trees. It leads from the centre to the woodland setting and park where the track is located. At the entrance of the enormous territory of the track complex, there are two roads: one for vehicles and one for pedestrians and cyclists. On a hot summer day, the shade of the trees are refreshing after the long, but worthy walk. Following that route, you have to cross the track in a pedestrian subway which runs under the main straight. Approaching the infield of the track, there is a board signalizing the way to the visitor’s centre which consists of an office, merchandising of F1 fan products, a snack bar and a terrace. At the shop centre, a warm welcome and a list of programmes awaits you. You can undertake a ‘track walk’ in a van or a bicycle. Both are guided and you will be led through all the important points of the historic track, every single point of the track and the surrounding has a short tale. You can get impressions which the TV screen cannot provide like feeling why the exit kerbs at the Variante della Roggia chicane are so tricky to take. You also can get a glimpse of the old, historic and legendary oval track which served as the ultimate test for the racing drivers. At the end of the track tour, you can get out of the van and shot a few pictures on the start-finish straight which stands out due to its longevity. There is also a guided tour which let you explore every inch of the complex which are hidden and closed corners during a race weekend, let alone the Italian Grand Prix event: media centre, interview rooms, race control, offices, VIP viewing area and the stand-alone and unique podium which sits over the start-finish straight. This tour takes around an hour because of the size of the pit building. The whole territory stands out with its dimensions, teams have a comfortable area to work on and park their vehicles during a race weekend. If you are tired after walking to, on and off the track, you can ask for another service: there is a van which takes you to the nearest bus station where the bus departs which heads to the central railway station. If you ever wonder and hesitate where to breathe some motorsport history in and connect it with a holiday, Monza should be on the top of your list. It has all the ingredients a motorsport freak can wish: warm welcome, moderate prices and pure motorsport adventure.